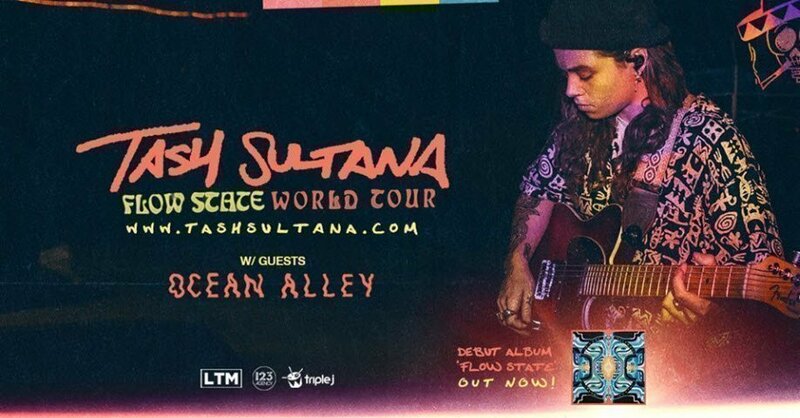 TASH SULTANA is an explosive live artist who has commanded world attention since homemade videos went viral. Tash was soon selling out major theatres & arenas globally and playing at the world’s biggest festivals - no mean feat for an artist who just a year before was recording songs on a go pro in a bedroom. Recent accolades include over 500M streams, topping the iTunes chart in multiple countries, ‘Jungle’ coming in at #3 in triple j’s Hottest 100, achieving gold sales for the Notion EP, platinum sales for singles ‘Jungle’ and ‘Notion’, winning the prestigious unearthed j award, 10x ARIA award nominations and most recently playing stand out sets at Coachella & Lollapalooza. Tickets $89.90 including all credit card and booking fees. • Persons under 16 years of age must be accompanied by a ticket holding guardian. • No BYO alcohol, soft drinks and non-alcoholic beverages are permitted.